Well, classes started. I’m usually completely freaked the first day when I’m hit with the realization that I have A LOT to do … but … not feeling it this time. I’m QUITE sure I’ll be feeling a lot of stress as time progresses, but things always work out in the end. No sense in stressing too much too soon, I guess. 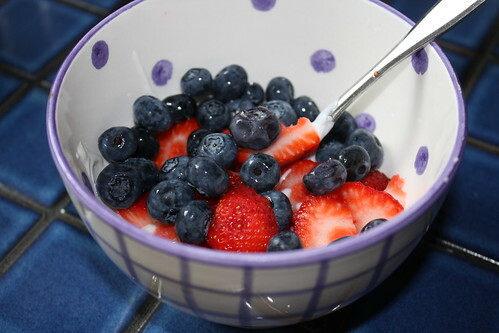 Breakfast today was yogurt and fruit a few hours before meeting with the trainer. 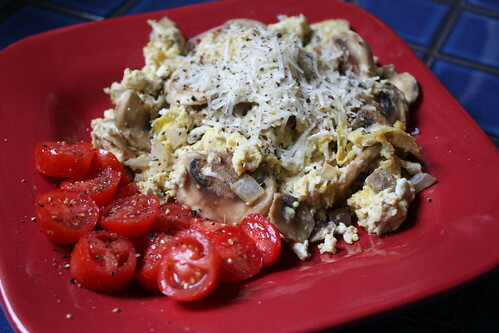 Lunch was 3 scrambled (in butter) eggs with red onion and mushrooms and a little parm cheese on top … with some tomatoes. Jon and I were eager for a date night … and I know I’m not supposed to be doing “cheat meals” … but what the hell? We went to a place right down the street and sat and talked and ate and just generally enjoyed the whole experience. I took some pictures with my phone, but they’re bad, I know. 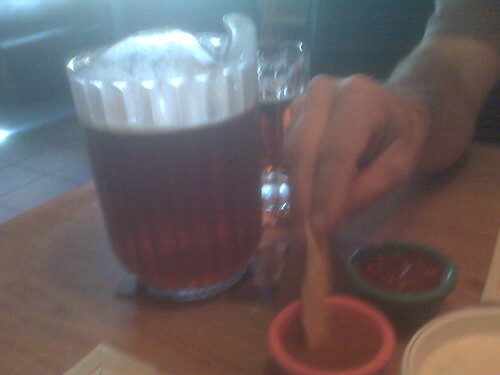 Pitcher of Dos Equis = cheap. 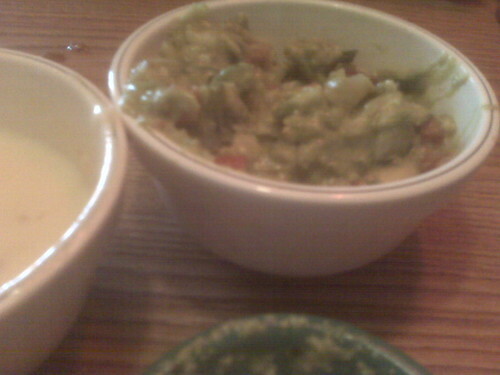 Chunky guacamole and cheese dip = my favorite. 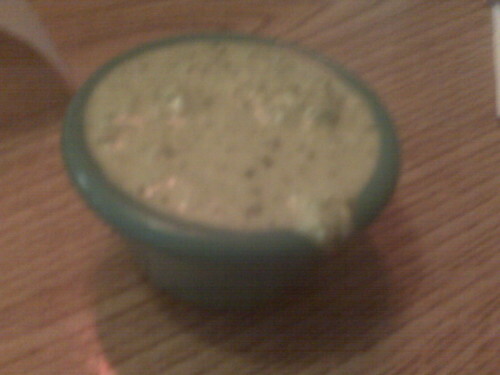 Not sure what this stuff is, but it’s listed as ‘Yucca’ on the salsa bar. I’ve never taken the time to ask, but I FREAKIN’ LOVE THIS STUFF. It’s green with darker green flecks of something and it’s sort of spicy. I don’t know? I put it on everything. We shared fajitas (for one). 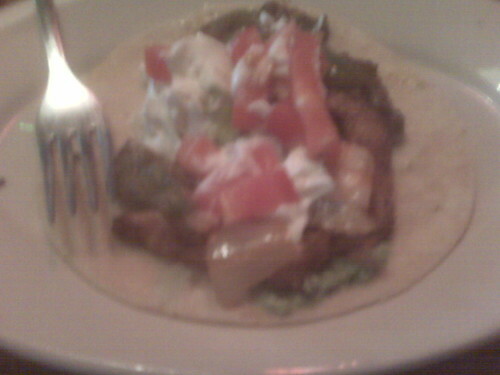 I think I had one larger and one smaller corn tortilla with shrimp and chicken, etc. I don’t think I ate any beans at all – and maybe one bite of rice, at most. I’m mostly in it for the chips and cheese dip/guacamole/salsa/green stuff. 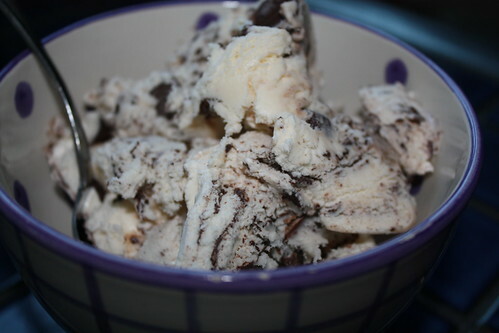 We stopped at a grocery store on the way home to round out the night of over-consumption with some ice cream. I had a session with the trainer today. I also bought a new scale (old one completely quit working for some reason). I weighed 0.5 less today than I did 2 weeks ago. Not great, but I’m ok with that. I’m mostly surprised that I lost anything at all given the cake/sugar binge last weekend and the Chinese food during the week, etc. I try to err on the side of “healthy” most of the time, and junk just some of the time … not balancing that quite as well as usual lately, though. I think the fact that I lost anything at all and didn’t gain means my lifestyle and eating habits are just different now. A sugar binge used to mean something way more extreme than it does now. Anyway. Yes, we used food to entertain ourselves tonight and I’m ok with it. I waffle constantly between thinking total deprivation until I’m at my goal is best … and thinking I should just live and do what I know is right (for me) most of the time.